The result isn't that amazing, and that's because I can't play perfectly with the board. There isn't any option to ''Frame Advance'' either, which is a huge loss for optimization. To those of you who does not know what a TAS is, a TAS is a run made with an emulator where special tools are available, such as: frame-by-frame speed, and re-recording from save states, which are used constantly throughout the run in order to make it as optimal as possible. Note: When Snaking is optimized, it looks quite different from what we have been used to see. Formerly, it was optimal to make wide Snaking patterns to gain as much speed as possible. However, in a TAS, by alternating between L+left & right+R every other frame, it is possible to gain speed beyond what traditional strides are capable of. Additionally, when tool-assisted, it accelerates slightly faster, meaning that the traditional Snaking is most likely to become left out in most cases when making TASes. -Tool-Assisted Snaking technique, discovered by Mugg1991. Alternate technique name would be Shaking. that's good to hear. can you record it from console? i'm now tempted to order a 3rd party card for this. i could record in HD since my capture card is an HD card and i have GC component cables. btw, Darkeye sent you a PM on twitch. he wants to ask you about GX emulation. Of course I can record it from console, but the replay file still refuses to work. (Although I'm not sure yet if the replay would work if the replay mode could just let the replay play). It would be cool if you could get a 3rd party card, too. Then perhaps you could test this with my NTSC SOLS TAS? I'm pretty sure the ghost will work for SOLS, but not sure about the replay. It will probably end after the countdown, but I still think it would be nice to have someone to confirm it. okay. i'll order a 3rd party card soon since i have to order some other things in 2 days. i'll add it and i should receive it next month. Good to hear that. You will also need an SD card. By the way, I have finally given up trying to get the file to work. It will not work unless you're really good at editing .GCI files, (which I'm not). 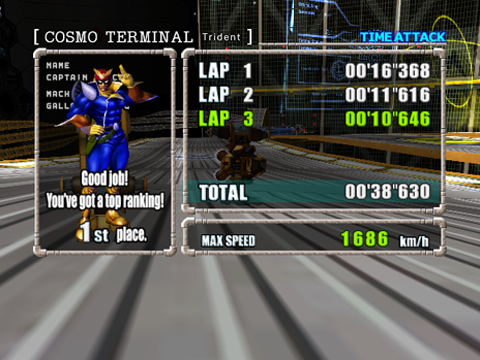 Therefore, I'm wondering if I should upload the incomplete run like a ''CTT TAS demo''? If anyone's interested? I think it is a bad idea to waste even more time on this, so I'll rather try to redo the run instead if I find motivation to it maybe next year or so. hopefully someone can figure out what was wrong here soon. uploading what works for now is the best to at least show how crazy the run was getting. Here's a TAS I started making a few months ago. Just finished it today. do you have the .gci replay for me to try it or did someone test it already on a GC? I made version 1 of this TAS back in April 2015, but due to dissatisfaction, I decided to redo the whole thing again. I couldn't find motivation to do so until last month, but at least it eventually happened. The final result of getting 11"245 is definitely a time I am content with. Version 1 of this TAS was basically on pace for 12"9 (06"397 + 03"500 + 03"0xx). With the 2nd iteration, I estimated the time to end up around 12"5, with the flaws from V1 fixed. This should give you an idea of how much ASB and BS techniques helped out for the final result. It's pretty interesting how lap 2 and lap 3 got their good and bad sections when compared against each other. The lap 2 strategy travels in higher average speed in the first half, but doesn't cut the corners as much as lap 3 does. The lap 3 strategy falls just barely behind until near the end, where it ultimately ends up being the fastest, because of how it's possible to align perfectly into the two last checkpoints required for the lap to count. I made a quick visual drawing below to give you a better idea of where I'm aiming to travel in the TAS for it to count. The machine needs to be positioned within the semi-transparent area for at least one frame in order for the two mandatory checkpoints to register. As seen in the TAS, lap 3 was definitely the most optimal in this regard, which was doable because of the early alignment from ground level with super high speed. This means that if I decided to redo this TAS yet again, I think I could potentially lower it down to 11"0, or maybe even 10"9? With that said, I certainly have no intentions of making another TAS of this course. 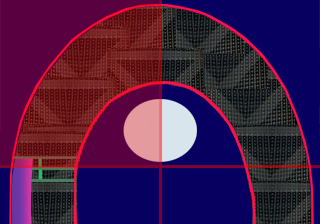 EDIT: Forgot to mention that below is an image made specifically for the checkpoints in the 2nd corner. The 1st corner does have a very similar placement of the required checkpoints, though. Also keep in mind that this is not considered as Space Flying. This is just pushing the limits of the path, similar to the jump from MCSG in Max Speed and Snaking records. Push the path too far, and the machine will explode upon collision. Overall, I spent approximately 115 hours on this TAS with approximately 60000 re-records. Much of which was spent testing like... 10 different lap 3 paths that didn't end up working in the end, lol. 13 hours of research (routing, different machines attributes and acceleration rate from Shaking tech). 30 hours used to create the first revision of the TAS. (Halfway into Lap 3 at least). There hasn't been a lot of talk about this technique, so worth to give it another reminder in this topic (considering that a lot of people still have no clue about what it is). Shaking is essentially frame-perfect Snaking, alternating L+Left and R+Right every other frame, without timing error. This allows the machine to exceed beyond the speed limitation of traditional Snaking strides, as well as having quicker acceleration. One last and more unknown addition from Shaking is what I prefer to call "Momentum Storage". This is an instant increase in speed that occurs as you cancel an extended Shaking line, or utilize a boost. In the MCSO TAS, Shaking was only utilized in the first few seconds, and is very detectable if you watch the video in reduced playback speed. This is a technique which can be done in real-time in some occasions for both Max Speed and Snaking, but it's a much more saturated effect from cancelling an extended Shaking line. You might have noticed from some Shaking videos that long lines of Shaking suddenly bursts a few hundred km/h as the tech is cancelled, or interrupted by boosting. This is speed that builds up after drifting over extended time. In the MCSO TAS, this came in handy for getting just enough speed for the MTSISB to work near the start. The railing expands its gravity in a plane (how far they expand is uncertain still, but it's at least very, very far). To Shift Boost in the air, the machine must merge into this invisible plane. The machine cannot be aligned far away from a parallel alignment with the invisible gravity plane. In order to work, the machine must ascend, or be close to have height gain upon merging with the invisible gravity plane. EDIT: I forgot to mention that I have yet to confirm if this works with edges that have no railings. Another thing that's worth to mention is that the gravity plane only affect the machine during frames that meet "most" of the above requirements. I say most, because you can get influence from the gravity plane without getting a Shift Boost. It's just that if you're misaligned too much, there won't be any influence on the machine at all. This technique allows the steering radius to break in airborne state. As far as real-time goes, this has only been an instant flight killer whenever it occurs on accident, since it's practically impossible to control, or even trigger on demand. This technique never really had a name, but after enough research, I would say "Broken Steering" is the most defining name. What I figured out is that the L&R buttons cannot trigger the glitch, and neither can the vertical axis of the control stick. What triggers the glitch ultimately is the horizontal axis of the control stick, with requirement of having high input towards either left or right. What position the machine needs to have as you move the control stick is still uncertain, and because of that, you need to test quite relentlessly before getting a favored outcome of this technique. So yeah... it's quite a BS tech in that regard. This is pretty much all I have to share for now. Hopefully it will be easier to understand what's going on in detail with this TAS. Pretty groundbreaking knowledge that has built up after making this one. While many future TASes will be more complicated to create than ever, they will display further potential that we probably won't ever be able mimic in real-time. Those are some very interesting physics exploits that seem to be insanely hard to trigger. I'm definitely trying to implement them in the GPMR maxspeed TAS I'm planning to work on in the next few weeks. However I guess it is harder to trigger those weird tricks in a maxspeed setting, because weird stuff like that seem to happen more likely in snaking runs from my experience (it's just a feeling). Also do boostplates have any effect on those techniques (except for reducing the speedgain from shiftboosts), or do you go for the boostplates for the better speed maintainance via MT ? Btw. I plan to use Gallant there to get a MTS into shiftboost quickly just like in OSMS if that matters. I think it is a bit easier to pull off Broken Steering with max acceleration due to the more sensitive steering, and in most cases, higher speed. With that said, I do think GPMR can benefit from it. The checkpoints might even be similar to the corners of MCSO. Booster doesn't do anything new to these techniques. 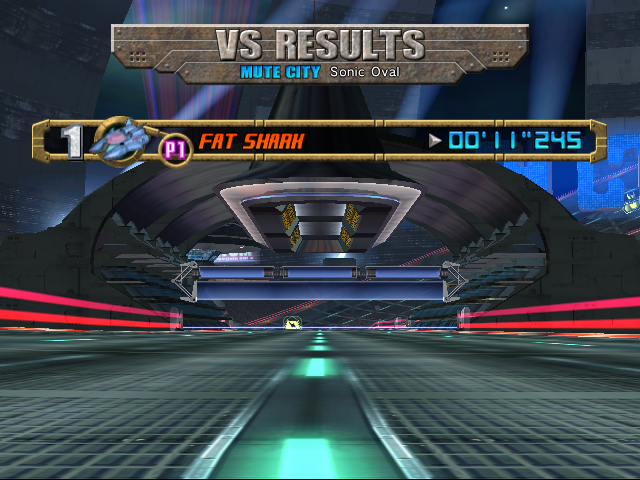 I haven't done enough TASing on Max Speed to say this with certainty, but Fat Shark might be a better option due to its much greater acceleration. Should be a better choice in general for short courses. In this case, though, the Gallant and Fat Shark should perform similarly. Thinking about it Fat Shark really is probably the better option if one can get the a shiftboost chain quickly (about at the first turn, which Gallant can do). However it loses more speed through turning, strafing and benefits less from sideattacks and has a weaker strafe+MTS which will make getting the first shiftboost harder, which is the reason why I considered Gallant in the first place. The first boostplate may help it to get enough speed though and considering it gets more speed from shiftboosts then I think it should be doable. Also it's turning is also sharper which will come in handy. So I will test a little with Fat Shark first I guess. Just dropping by to say I would be interested in seeing more work on the story missions. Such as chapter 6 (which supposedly had a shortcut). Thank you, Mr. Mugg. I'm waiting with Story Mode stuff until Dolphin becomes reliable enough for a full-game TAS. From what I remember, there were two or three issues that were too severe for a full-game commitment. Drops inputs consistently on certain frames. Doesn't matter if there's an active .DTM or not, pausing the game was the only option around this. Sync test for creating .DTM files. Sync test for creating .DTM files with RNG involved (AI interaction in this case). I only got around testing #1, which was still an issue. I didn't bother testing more beyond that, but if none of these issues exist (and nothing new is broken), then a full-game TAS can be started. I'll try to run my next Time Attack TAS off a .DTM file to see if issue #2 has improved. EDIT: By "full-game" TAS, I mean Story Mode on Very Hard.